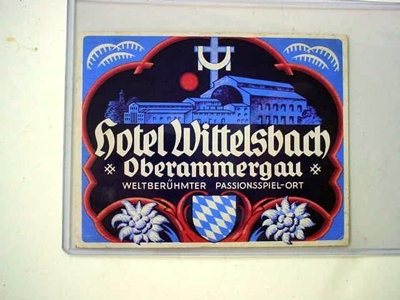 DESCRIPTION: Oberammergau is a municipality in Bavaria, Germany, famous for its production of the great passion play which it has undertaken since 1634.It is considered a sacred duty and is the result of a vow made by the inhabitants of the village that if God spared them from the effects of the bubonic plague sweeping the region, they would perform a passion play every ten years. 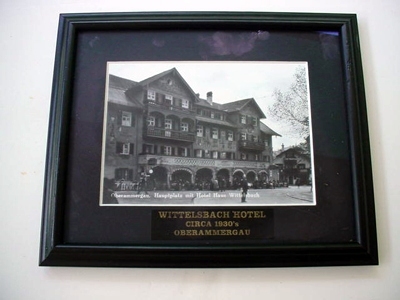 We have obtained a prodigiously important guest book from the Hotel Wittelsbach in Oberammergau dating from 1930 to 1940 which was reserved for the signatures of only its most important guests. 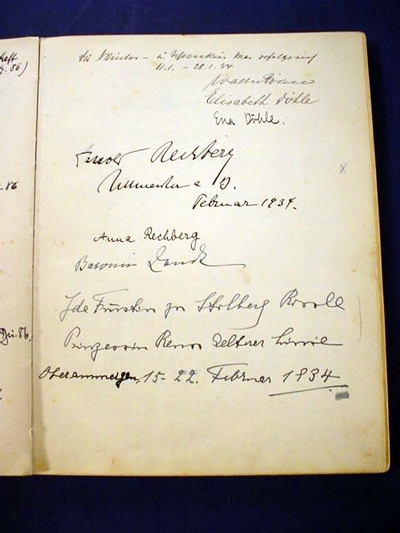 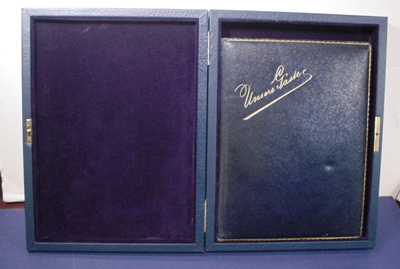 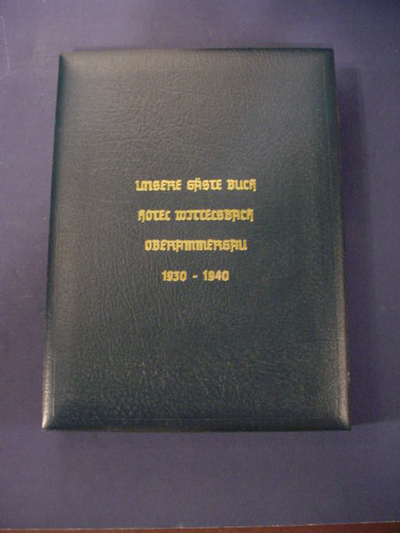 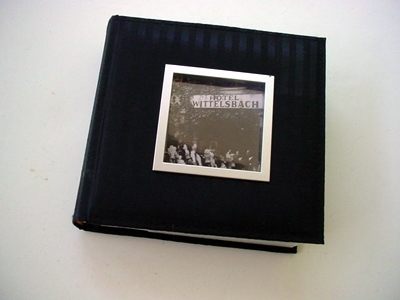 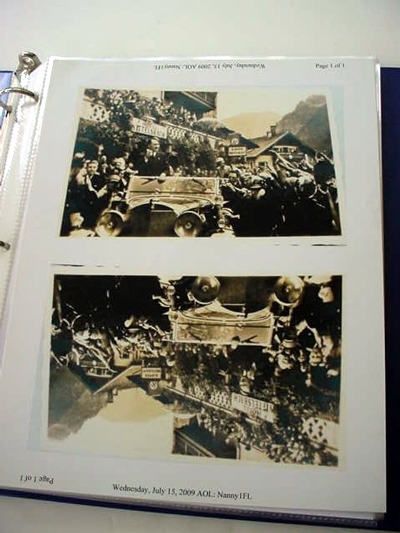 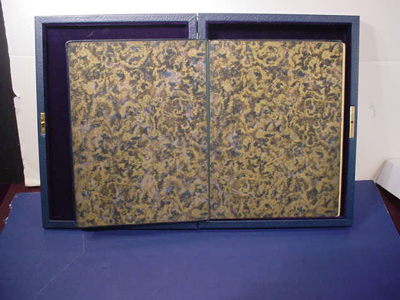 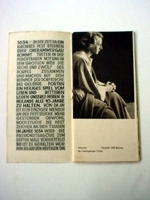 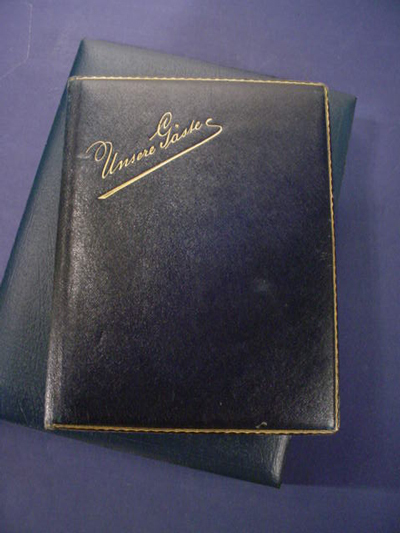 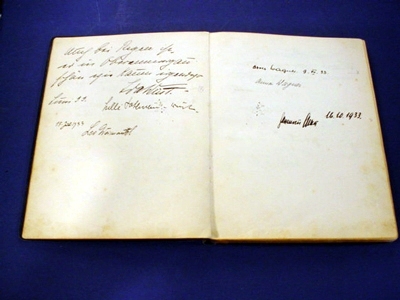 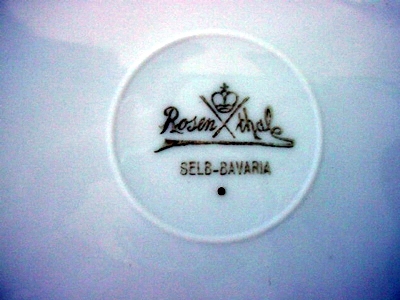 The book did not just lie upon the hotel sign-in desk, it would be brought out especially when a genuine VIP would be a guest, and the blue leather-covered book has a gilt title in German: Unsere Gäste “Our Guests”, with gilt trimmed edges and contains 200 pages comprising the book. 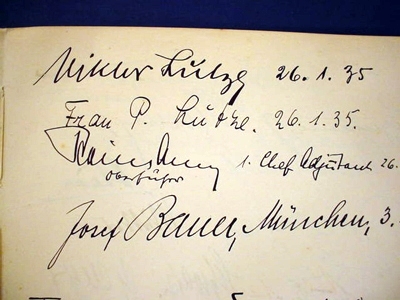 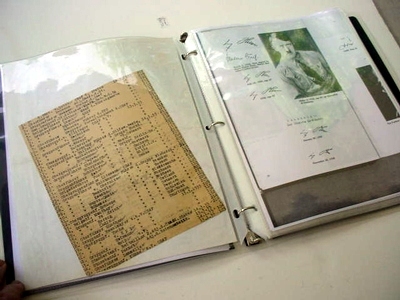 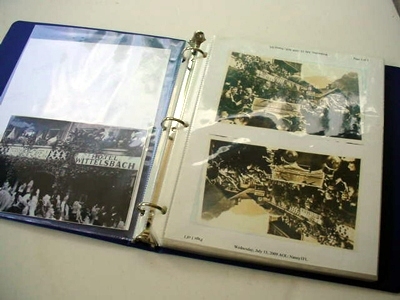 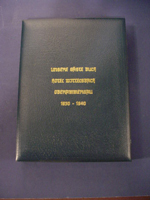 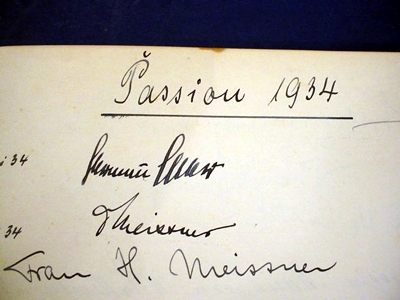 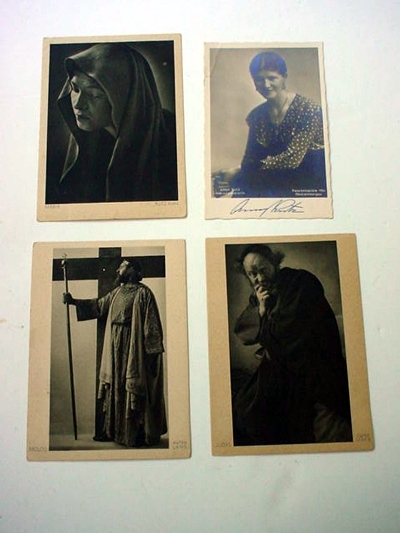 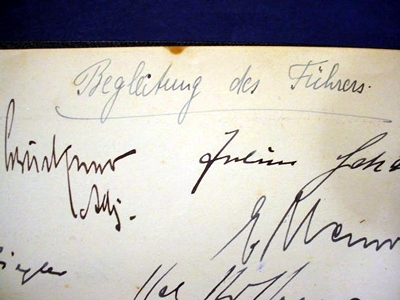 Of these pages, over 40 of them are signed by instantly recognizable personalities out of nearly 400 signatures, the majority of which include some of the most important political and military figures of the Third Reich. 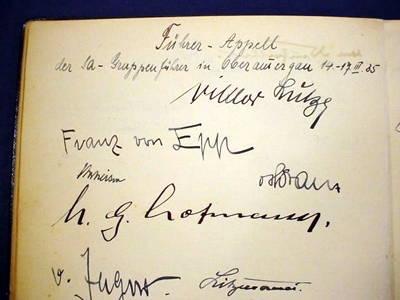 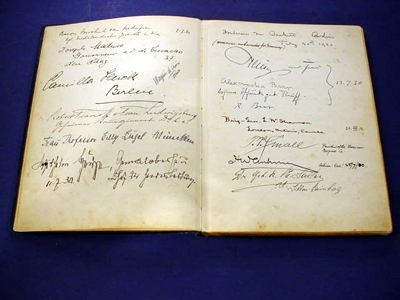 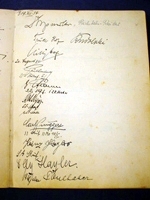 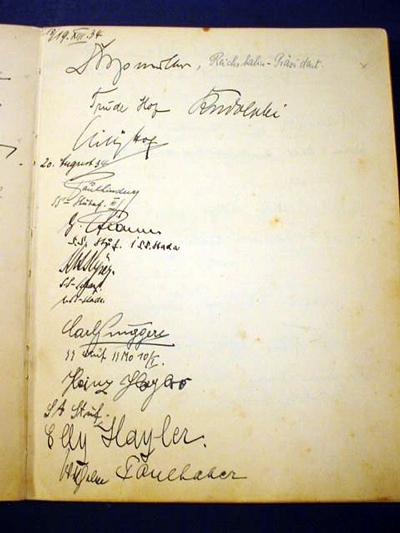 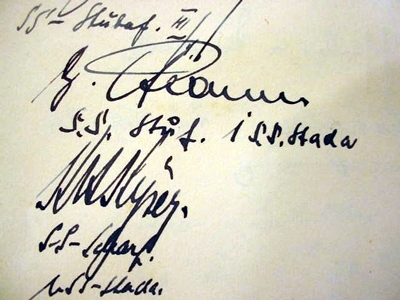 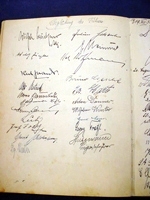 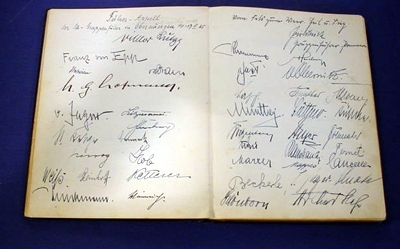 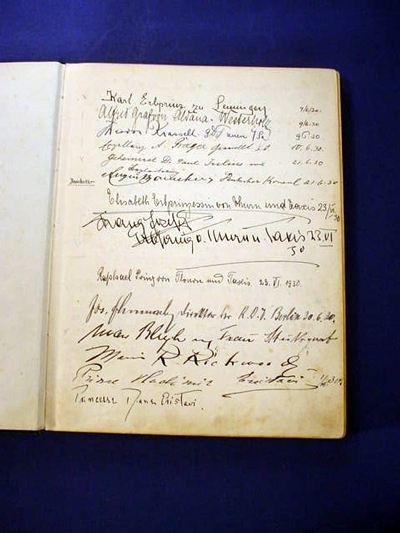 The signatures in the book are on pages that were penned by famous and interesting people from the year 1930 all the way to part of 1940, but after that the war was on and the signing would have ceased. 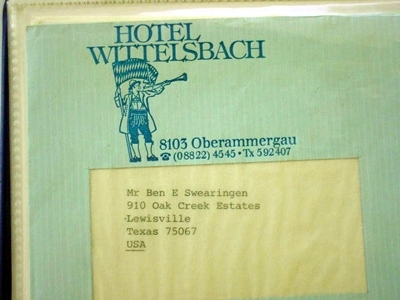 It is not known if the hotel was closed after that. 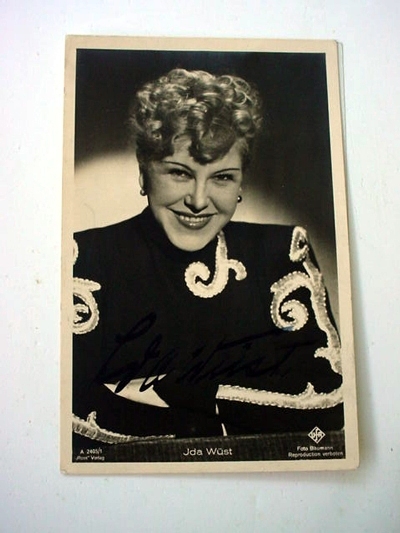 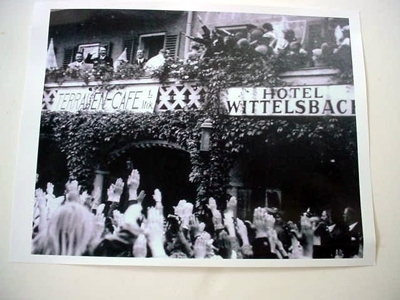 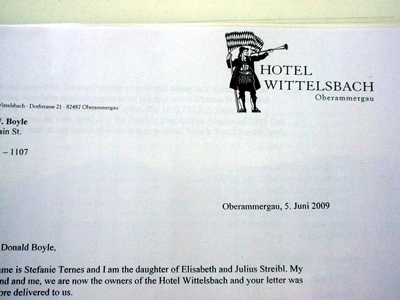 Many famous personalities came to the performances but all did not stay at the Wittlesbach Hotel. 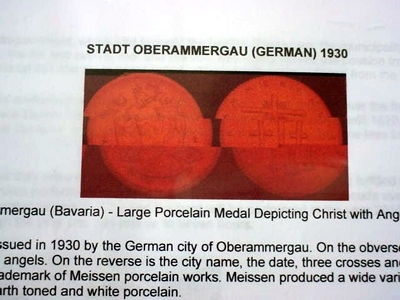 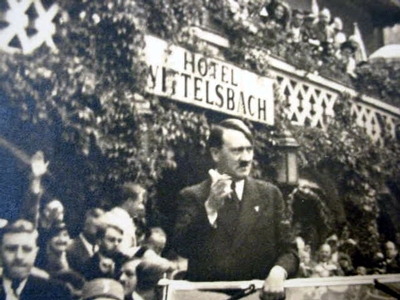 The German Führer Adolf Hitler came to Oberamergau in 1930 but probably stayed in Linz, his hometown from earlier days as this was his most beloved city of his youth. 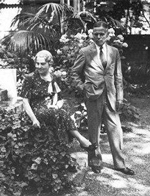 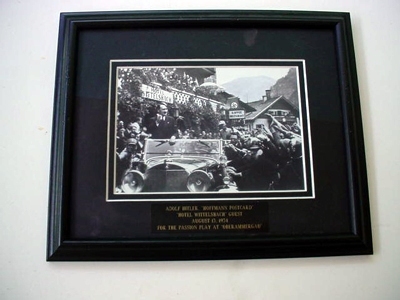 Henry Ford came in 1930 and enjoyed a rousing welcome from both the townsfolk and also from all the international crowds of visitors gathered along a parade route of sorts. 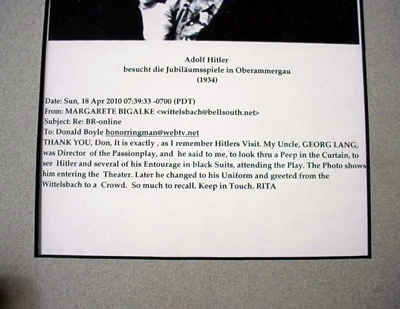 Stories are still told of eccentric King Ludwig of Bavaria who was so impressed with the play that he handed out silver spoons to all of the main actors -- except for the actor who played Judas who received a “tin spoon.” Although the full and grand performances are held every 10 years, shorter versions are held each year and this delights the folks who might not be able to attend the full performance. 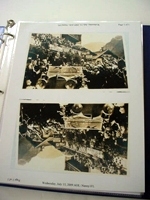 Performances are staged in the final year of each decade that is the year whose numeral ends with zero. 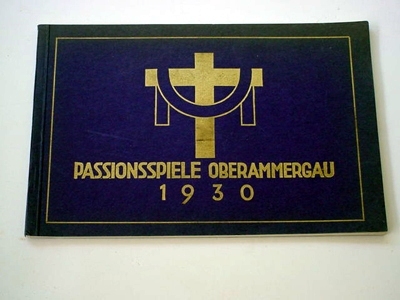 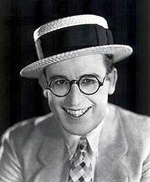 However these regular performances at 10 year intervals have been punctuated with additional performances as those of 1922 and again an entire cycle of performances in 1934 (over and above the regular 1930 schedule to commemorate the 300th.annivesary of the original vow.) 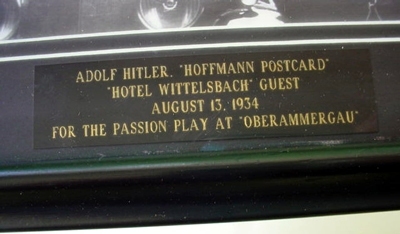 This was considered the greatest and most meaningful of all the plays in the 20th century and that was the reason for all the illustrious guests in 1934 and the fact that a certain ultra-popular world leader and personality would be in attendance made it all the more reason to be there in '34! 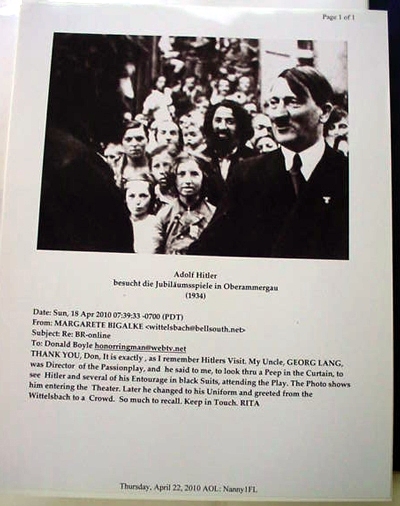 The next full cast staging will take place in 2020 and the price of the various types of admission and seating would seem “astronomical” to many but I believe it is almost entirely sold out. 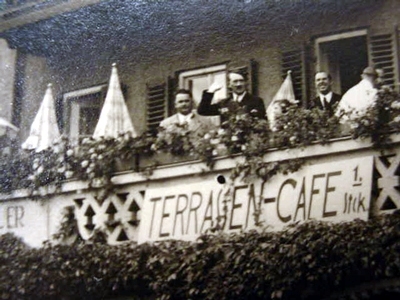 victorious allies in the Rhine valley. 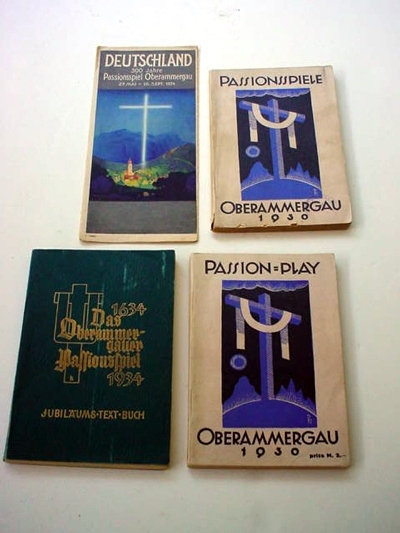 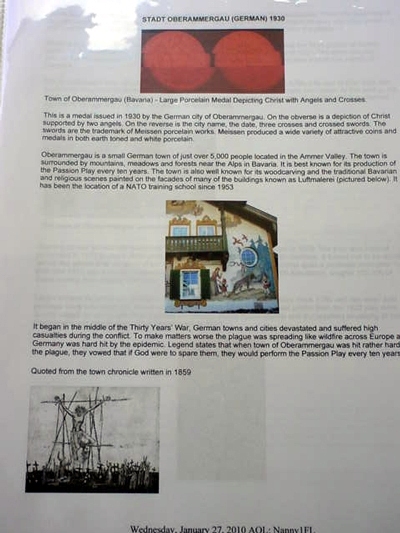 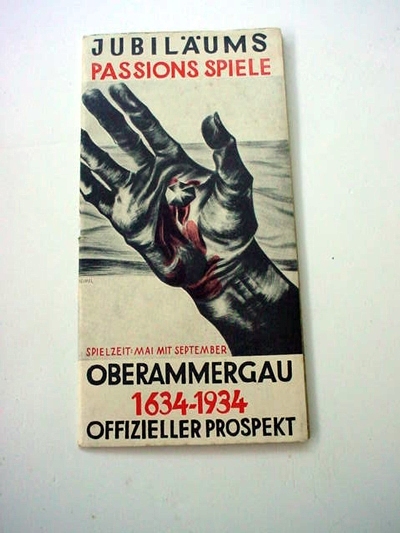 The shadow of this tragic and terrible fratricidal war still hangs over Europe, but let us hope that the thunder of the guns of war never again break the serene peace of Oberammergau. 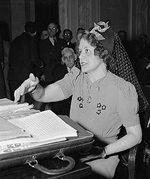 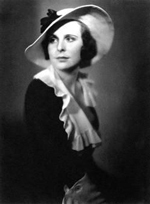 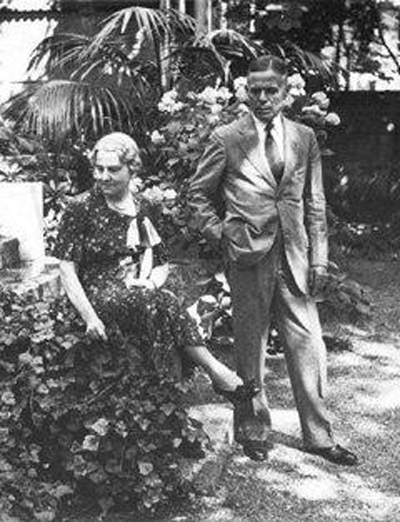 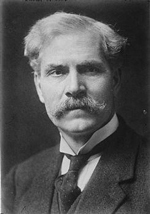 In 1940 the play had to be cancelled due to the 1939 outbreak of the war, not to resume until 1950 but then only after having had to obtain permission from the American Occupation authorities. 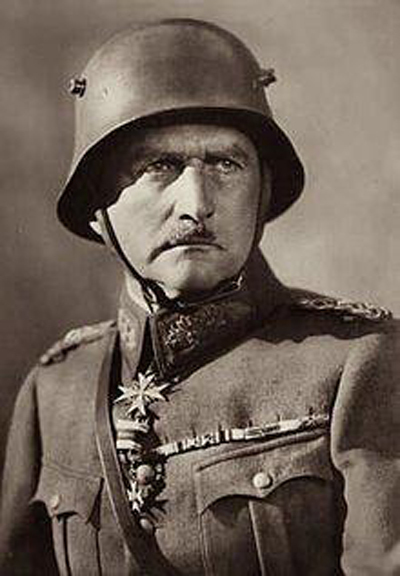 DER FUHRER KOMMT! 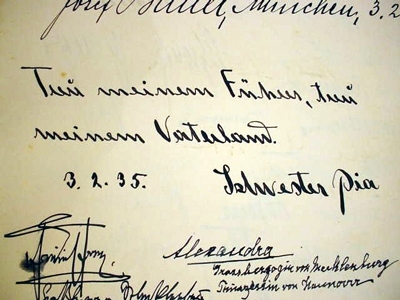 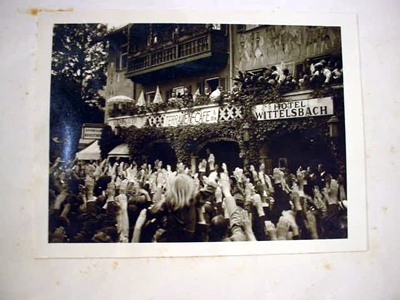 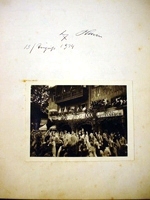 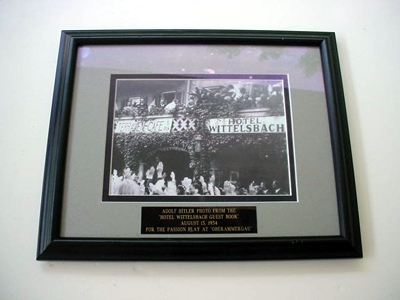 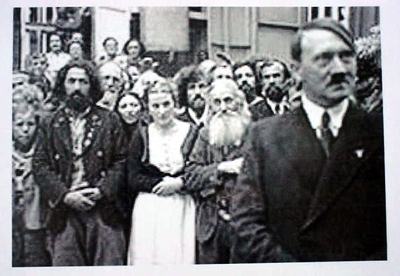 On August 13, 1934, Adolf Hitler and his large entourage visited the town to attend the 300th anniversary of the Passion play and he signed and dated a page reserved and devoted to him and below his signature is an original photo of the Führer himself addressing a large crowd from the hotel’s balcony. 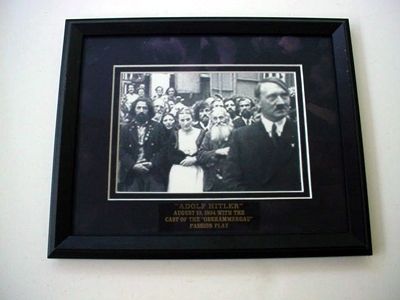 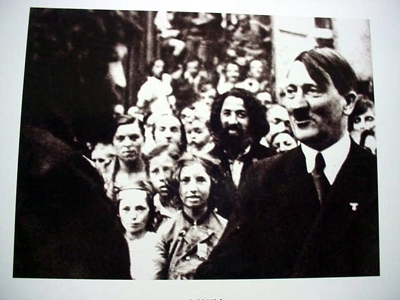 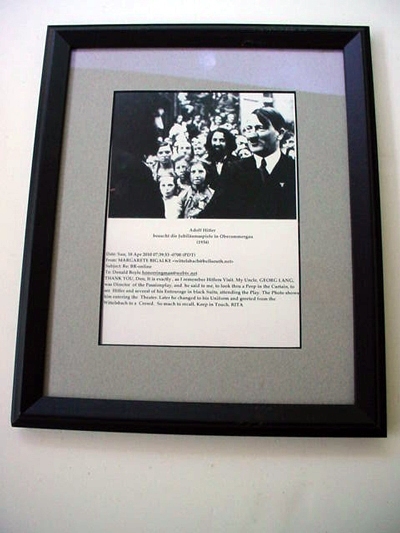 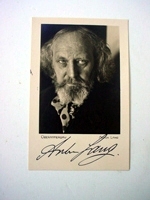 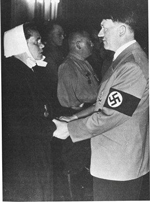 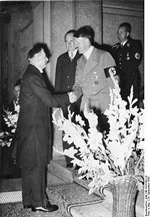 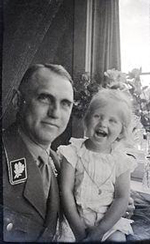 This photograph was affixed to the page where Hitler’s signature is seen by the hotel staff at the time. 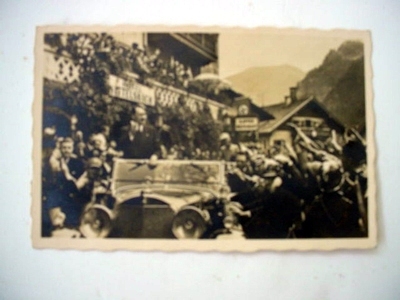 There is also another original postcard photo of Hitler in his car in front of the hotel acknowledging the crowd offering him the “Deutschen Gruss’! (The National Socialist stiff armed salute). 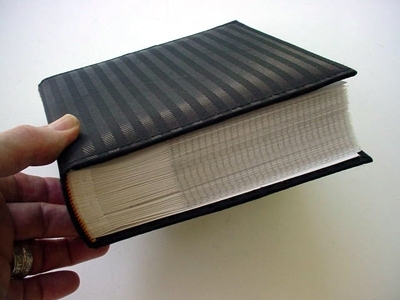 That card is separate from the book. 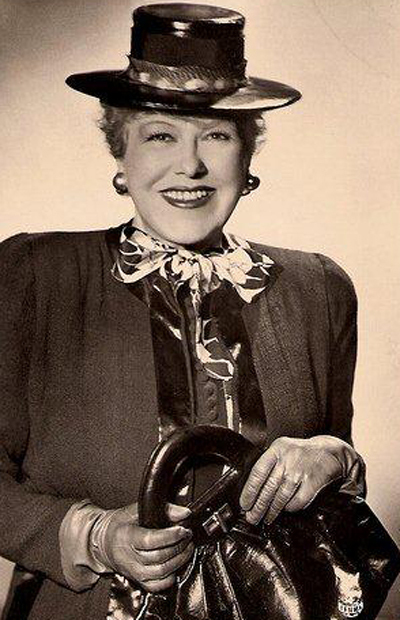 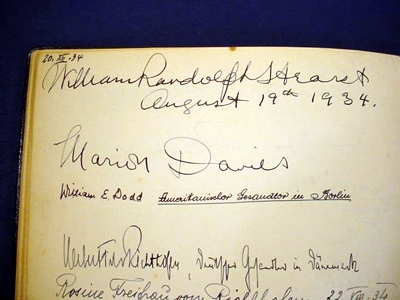 Ironically six days later the book was signed by William Randolph Hearst, as well as his mistress, movie-star Marion Davies, and the U.S. 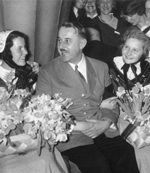 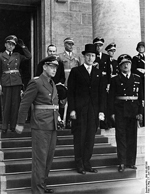 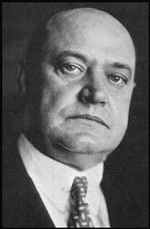 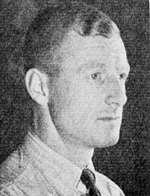 Ambassador to Germany, William E. Dodd, as the trio were en route to Berlin to meet with Hitler to deliver American Jew's concerns about German policies toward their people. 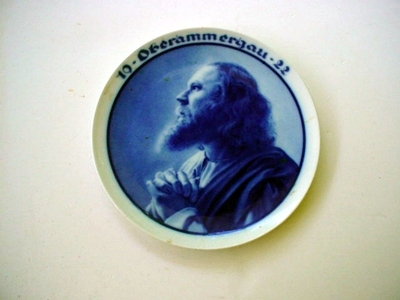 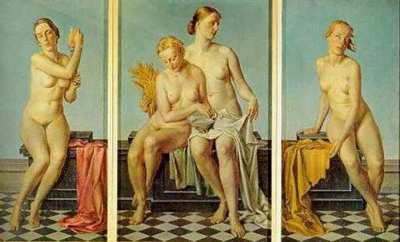 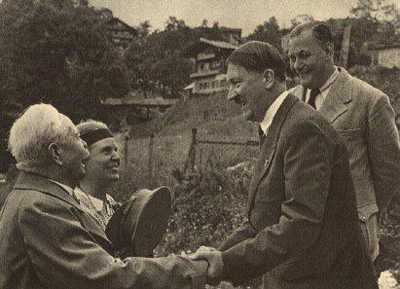 We do not know if such a meeting ever took place but it most likely did not happen in Oberammergau. 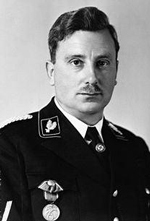 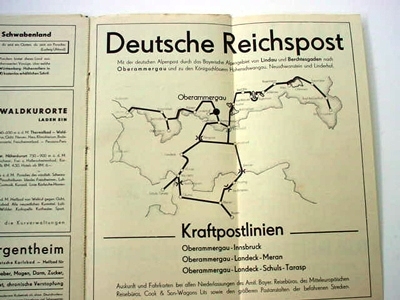 Concerning the Jews, there is a signature of Julius Streicher Gauleiter of Gau Franken and publisher of “Der Stürmer” a magazine that rather brusquely discusses the Jewish question. 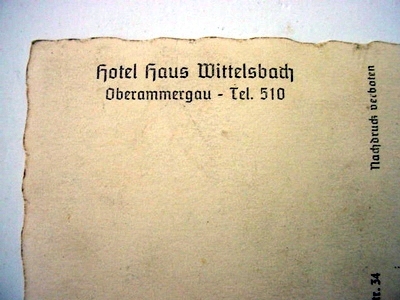 He wrote this message on June 7th 1933 when a guest at the hotel: “Without a solution to the Jewish question, there can be no salvation for the German People!” In another visit on January 20th. 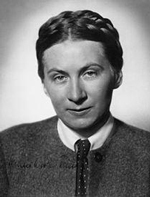 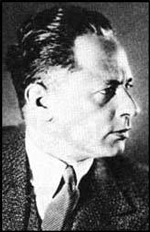 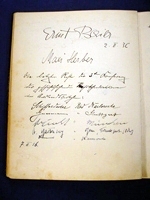 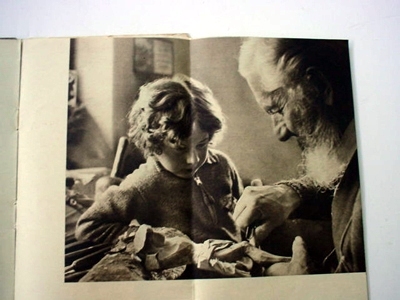 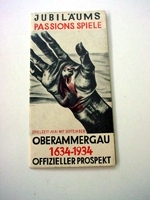 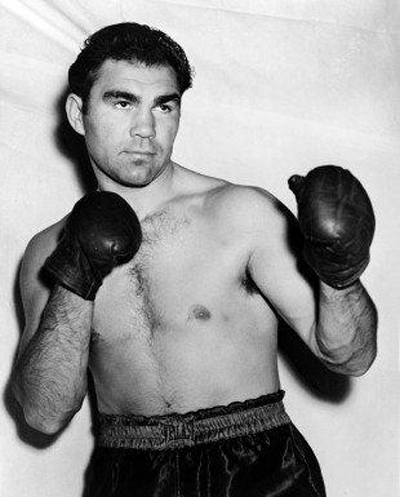 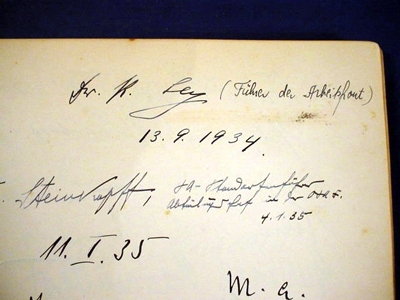 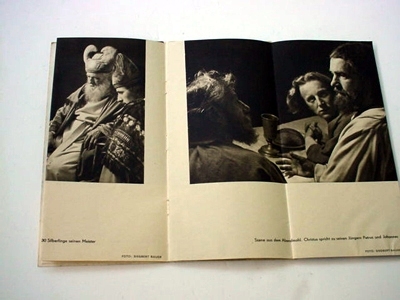 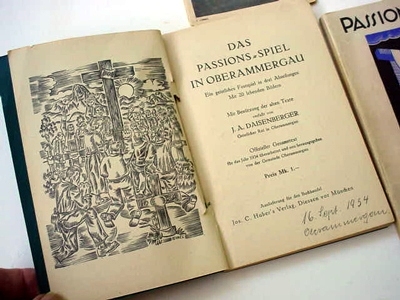 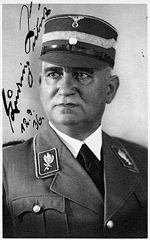 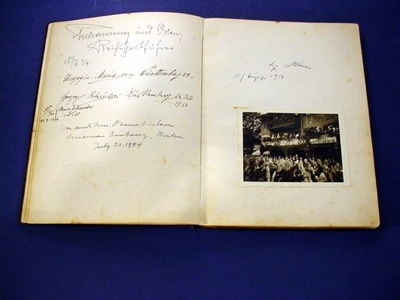 1935 Streicher places a second signed quote into the book: “Who knows the Jew knows the Devil”. 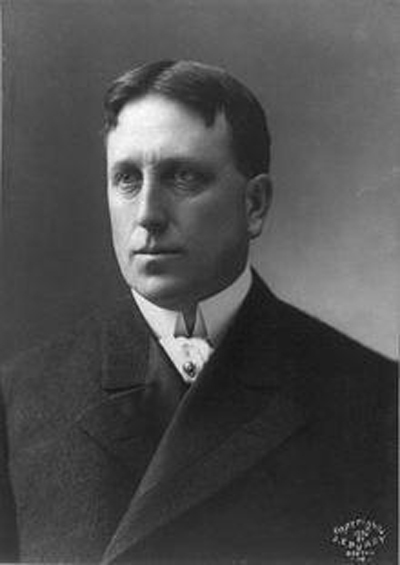 * Fredrick P. Small, President of American Express. 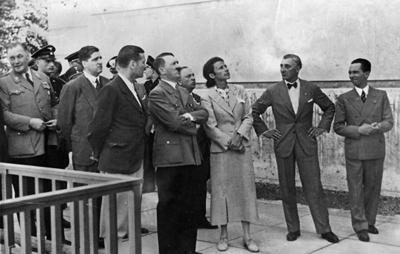 He brought the company through the Great Depression. 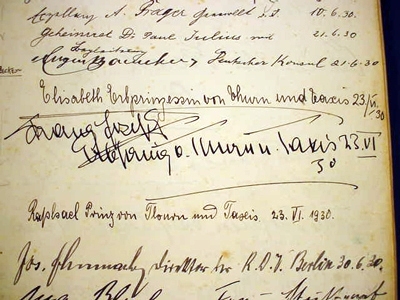 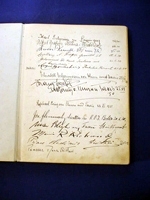 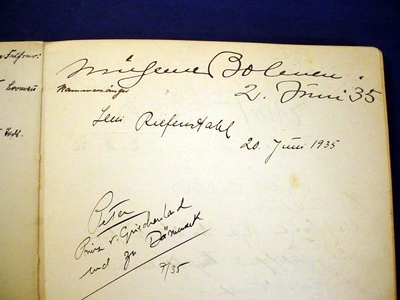 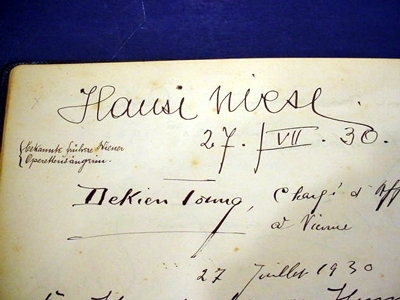 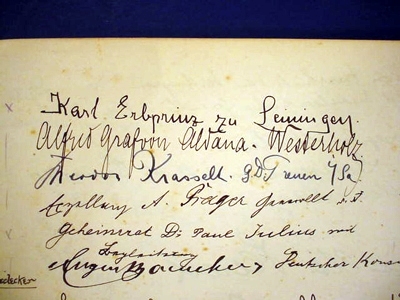 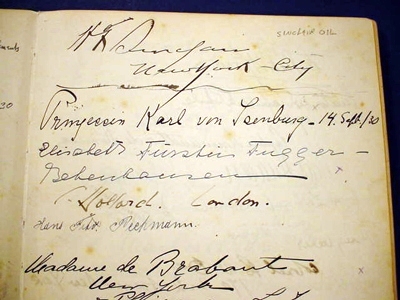 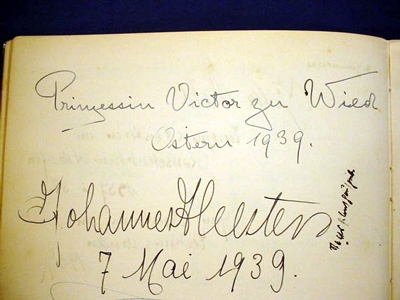 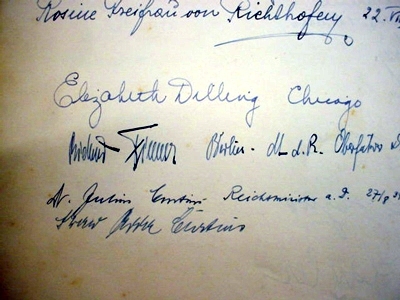 He stayed at the hotel and signed the guest book in July of 1930. 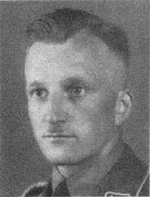 * Victor Lutze, Commander in Chief of the SA Storm Troops. 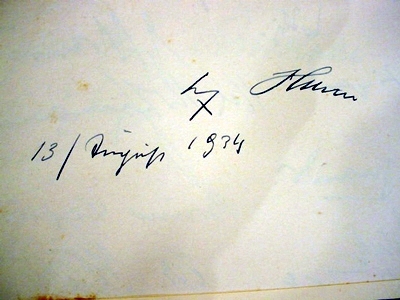 His wife signed as well. 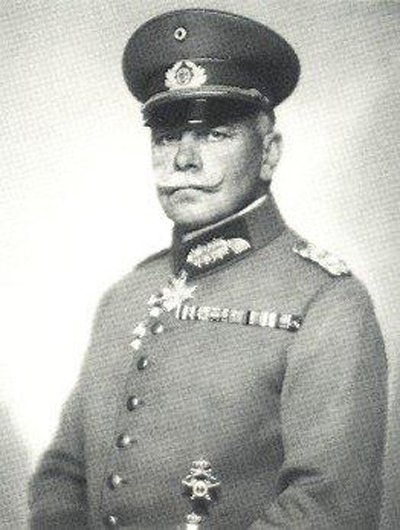 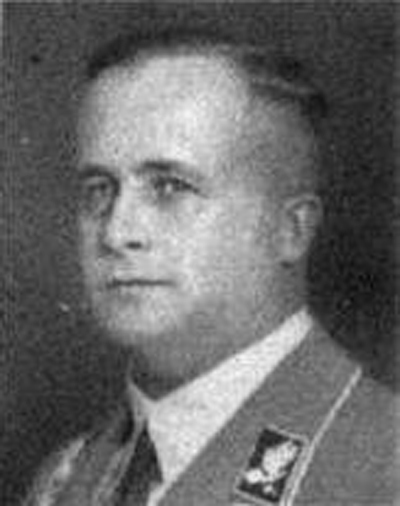 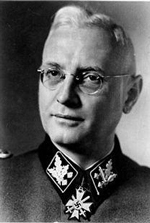 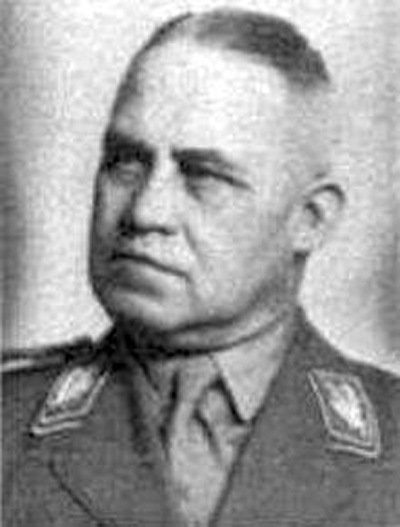 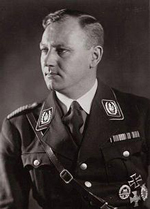 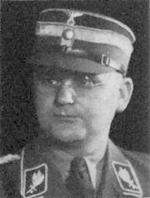 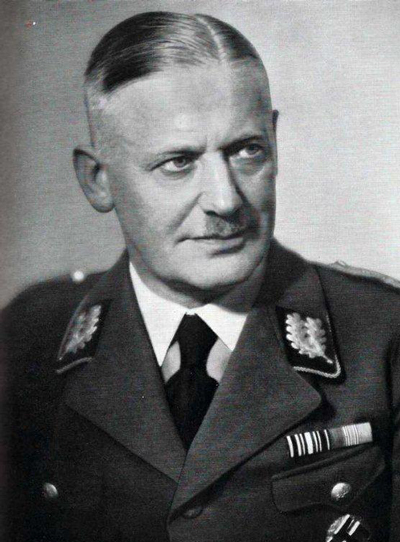 Lutze succeeded Staff chief Ernst Roehm after the “Night of the Long Knives.“ He was a guest 1/26/35. 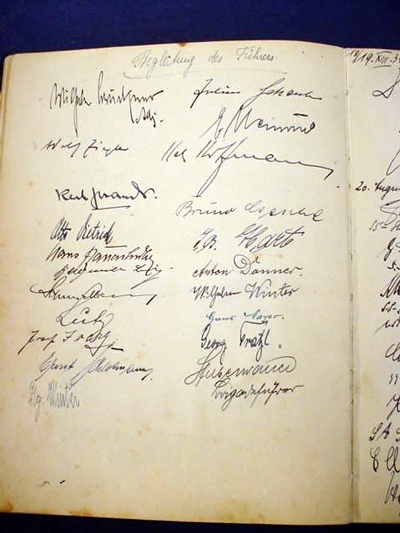 Later he was a guest again when the SA Leadership conference was held there from the 14th to the 17th, 1935 and he signed the book again. 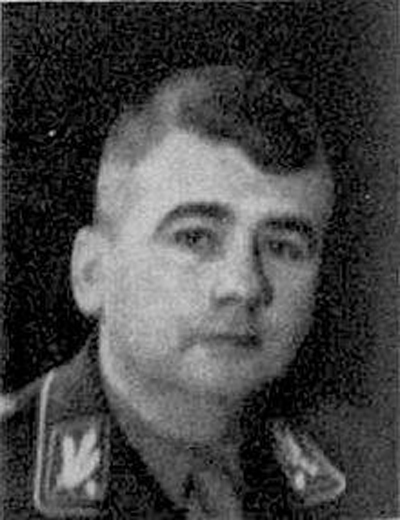 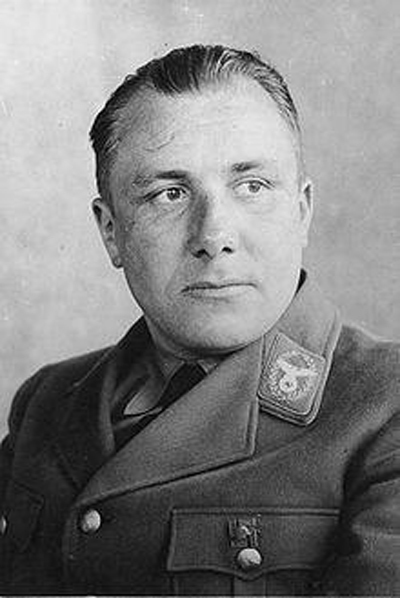 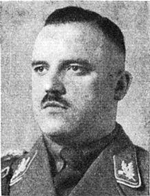 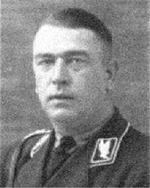 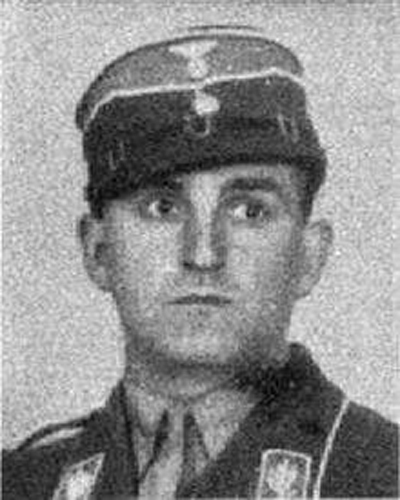 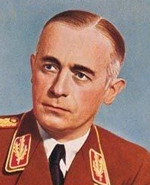 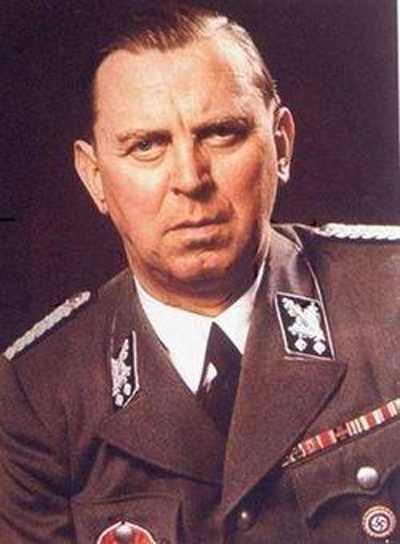 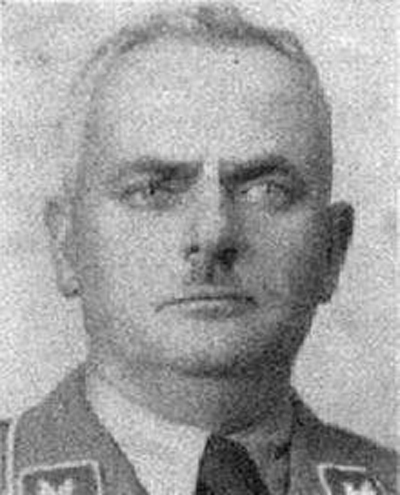 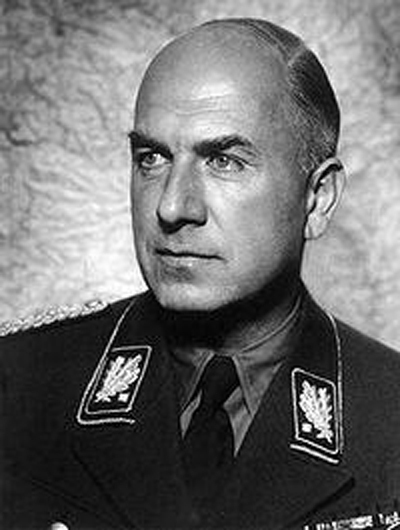 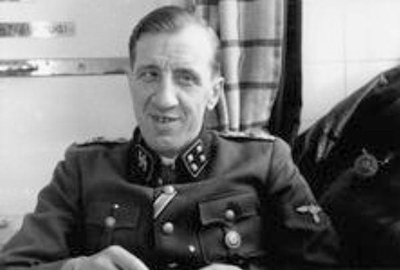 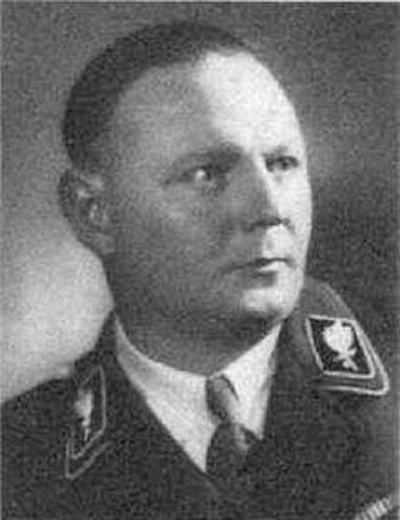 * Bruno Gesche, SS Obersturmbannführer, one of the most important members of Hitler’s entourage and the commander of the Adolf Hitler personal bodyguard detachment, the SS Begleitkommando. 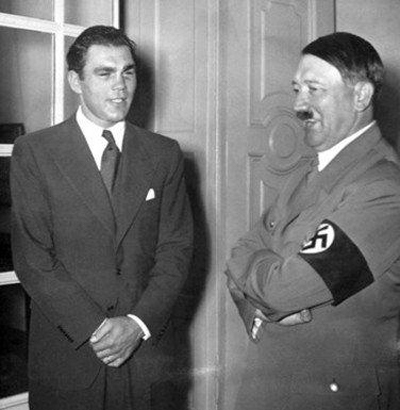 He of course checked in on the 13th August 1934 with his chief. 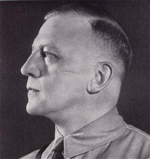 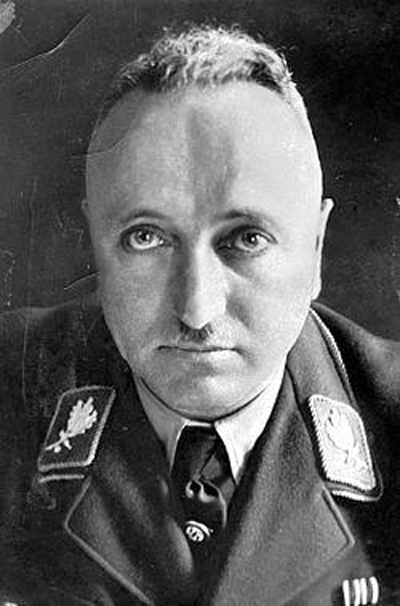 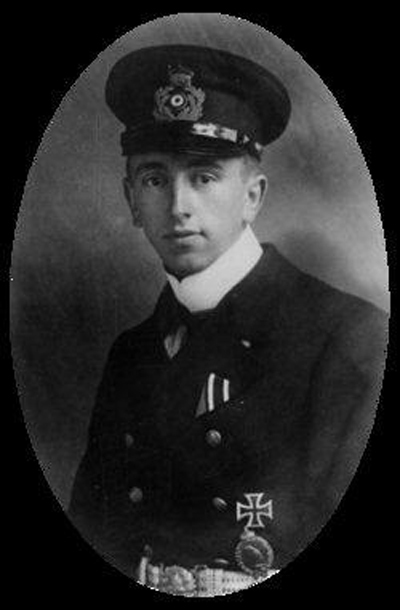 * Wilhelm Bruckner, Adolf Hitler’s chief adjutant, and participant in the November 9th 1923 Putsch. 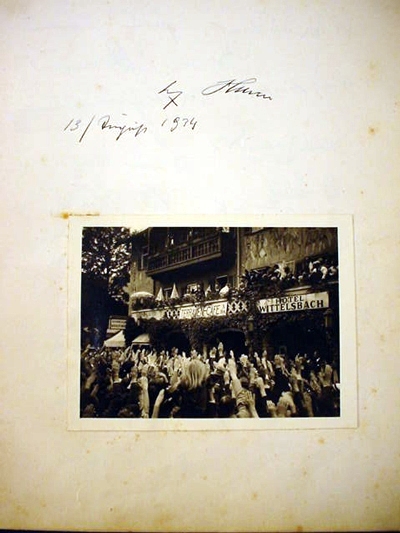 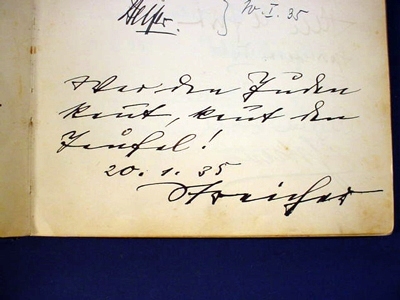 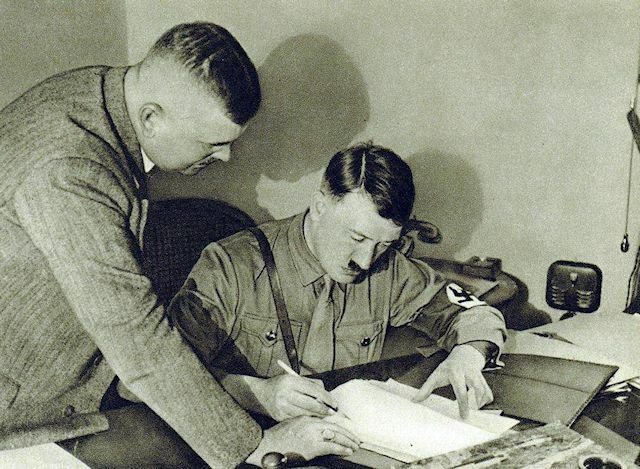 He arrived as the leader of the Führer of the Beliegtung team on August 13, 1934 and then in July 6, 1937 he returned to the hotel again for another visit and in the book besides his signature this time he also writes “Our sincere thanks for food and drinks, Heil Hitler July 6th 1936. 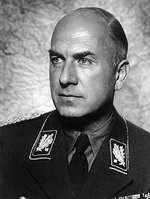 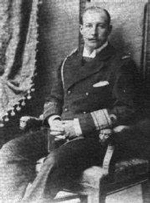 In the war Brucknerserved as an army Colonel. 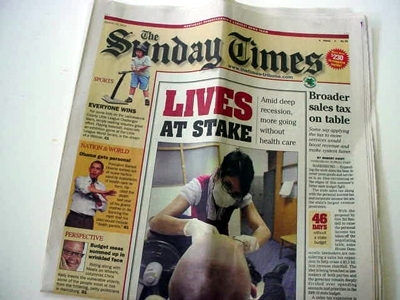 No.5 We have an actual edition of the Sunday Times, a newspaper from Northeast Pennsylvania dated August 16, 2009. 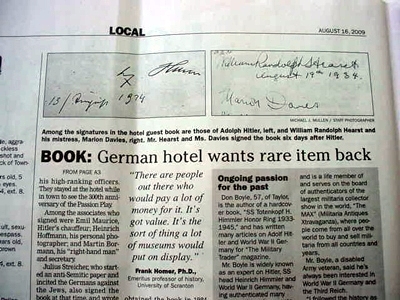 In the section for local news there is a very informative and interesting article about Mr. Donald Boyle’s acquisition of the guest book. 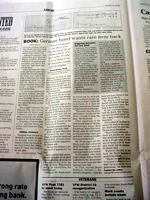 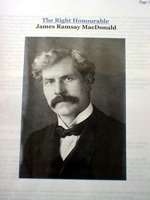 The article was written by staff writer Sharon Sanger. 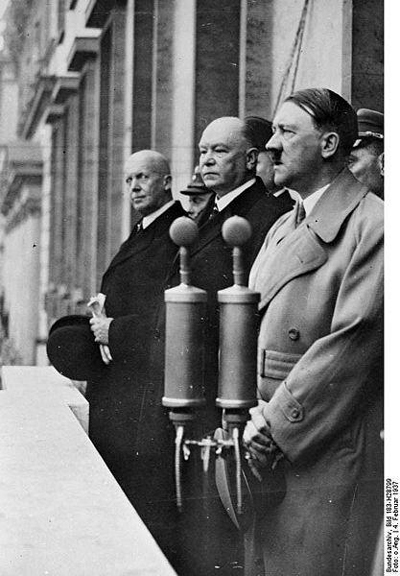 The article is written in a very objective manner and style without the usual hype and fervor that accompanies the writings of other more vehement journalists whenever they write anything concerning Adolf Hitler or any of his cabinet. 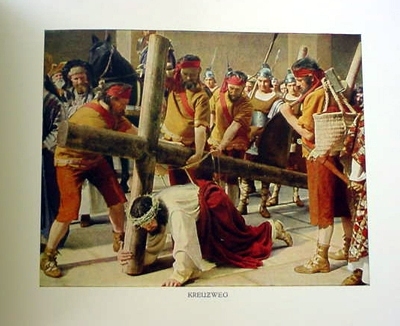 Generally it is nothing but a bombastic bit of yellow rag assault as if the man had no redeeming virtues at all. 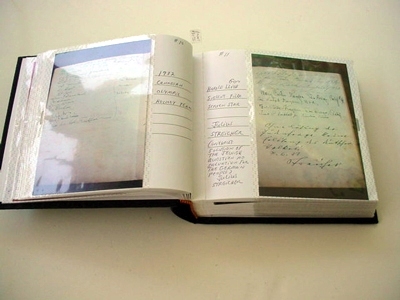 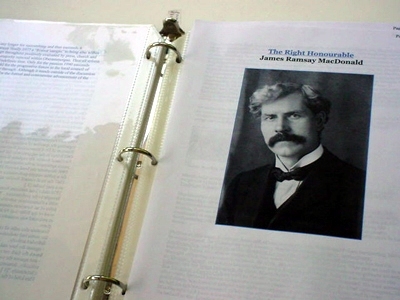 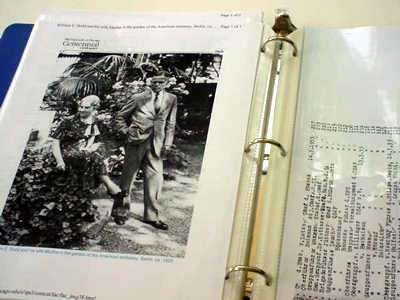 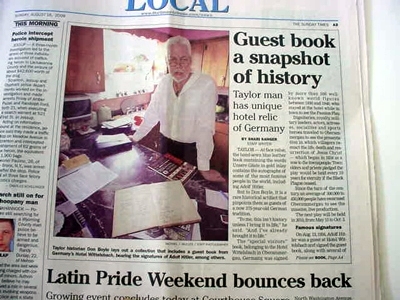 The title that Sharon Sanger gave to the article is “Guest Book a Snapshot of history.” In the article, Boyle is quoted as saying “To me it isn’t history unless I bring it to life“ he said, “And I have brought it to life.” Frank Homer, Ph.D., an emeritus professor of history at the University of Scranton couldn’t resist a few adverse jibes at the Führer after he was shown the book. 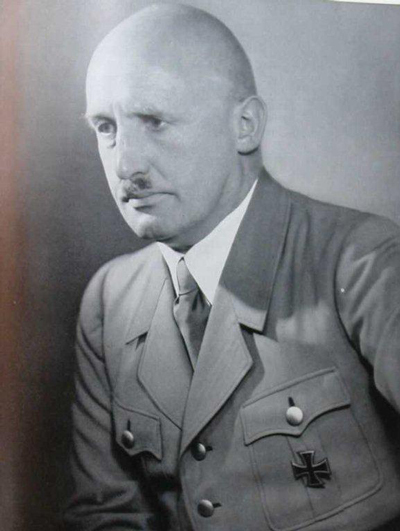 He says of Hitler “He was not without a certain level of popularity.” What an understatement! 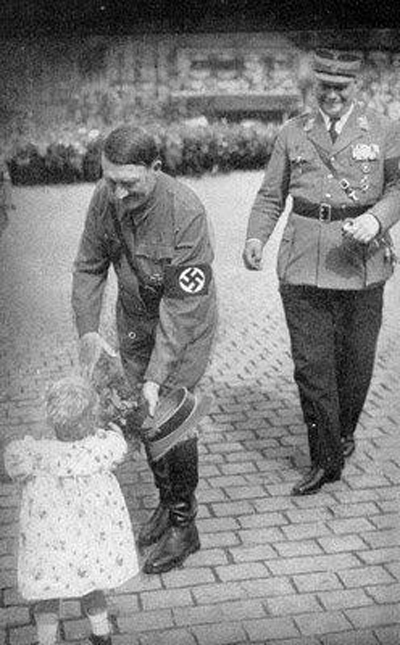 Adolf Hitler was to the Germans and millions of European people, practically the Archangel Michael, he appeared before adoring crowds of multiple thousands, he received more public support than any other historical national leaders ever has, and even when the war was nearly at its tragic end the cry still went up “Heil Unsere Führer!" Like this historical fact or not, Adolf Hitler never lost the support and adoration of the greater part of the German Population. 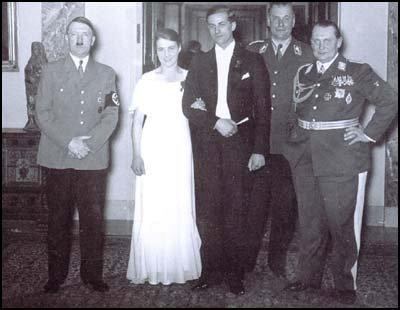 (MY opinion.) 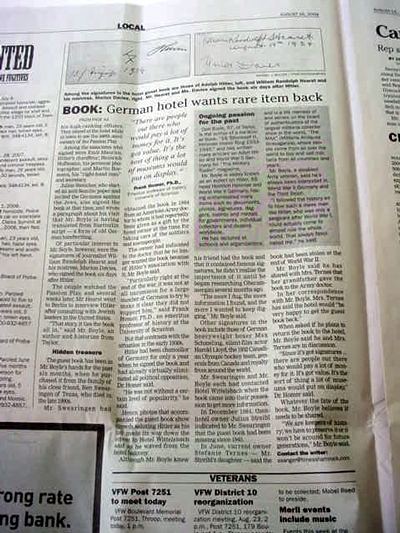 Mr. Boyle said in the end of the article “We are keepers of history. We have to preserve it or it won’t be around for future generations!"